Computational Fluid Dynamics analysis ensures airflow is minimized over each section of the frame. 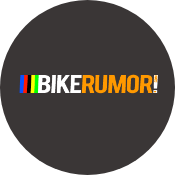 Kamm tail truncated tube shapes perform better – with less drag – at all angles than full airfoils. High compaction molding helps eliminate wrinkles and excess resin to deliver the lightest and strongest frame possible. Progressive stack and reach geometry ensures that all sizes place riders in the perfect position. Offset forks have tapered steerers and optimized trail, to ensure stable steering and confidence-inspiring handling. Integrated chain watcher ensures smooth shifts without the risk of dropping the chain. 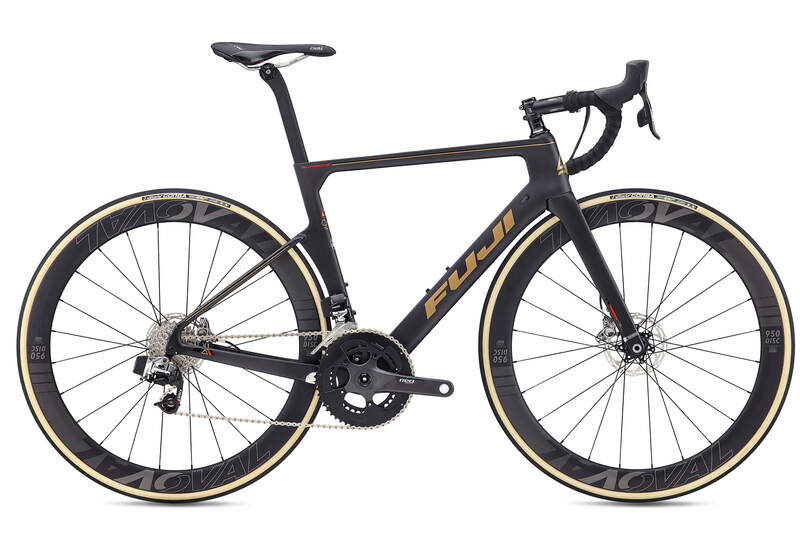 Disc brakes for all models take less effort at the lever for better modulation and improved braking performance. 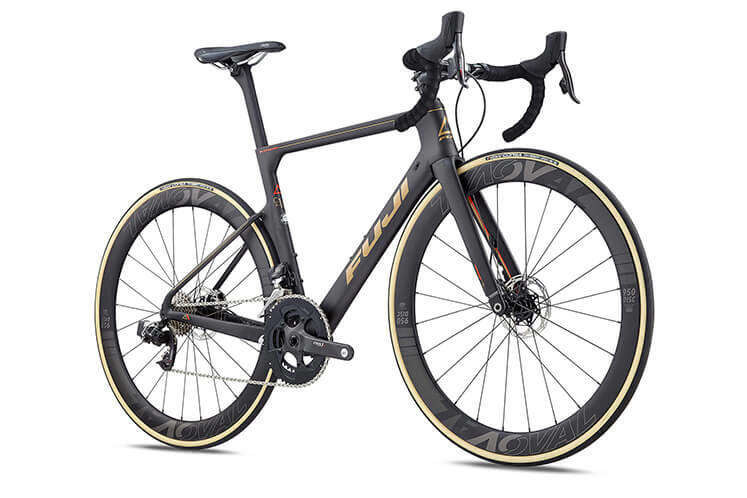 "Weighing in at less than 900g, Fuji's premium, ultra high-modulus carbon material employs high compaction molding and three levels of carbon material insuring the lightest, stiffest frames in the industry. " Fast. Very fast. 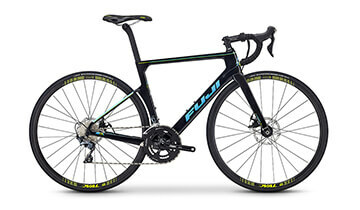 In fact, it’s the fastest Fuji ever. The story behind the all-new Supreme. Using three-dimensional design, our design team is breaking new ground with an all new design language that is more angular and linear. With this new design language we incorporated the best of wind-cheating technology, the Kamm Foil, with a truncated tail that performs better at higher yaw angles (side winds) than a conventional airfoil. 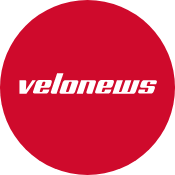 We took the Supreme prototype into a wind tunnel and results were startling: Compared to our already-aero Transonic, the new Supreme saves an eye-opening 1 minute and 19 seconds over 40 kilometers — and an unbelievable 3:23 over the current Supreme. Over a six month period of time, we refined the layup by producing a total of 12 different layup prototype frames till we arrived at the perfect balance of stiffness and compliance. 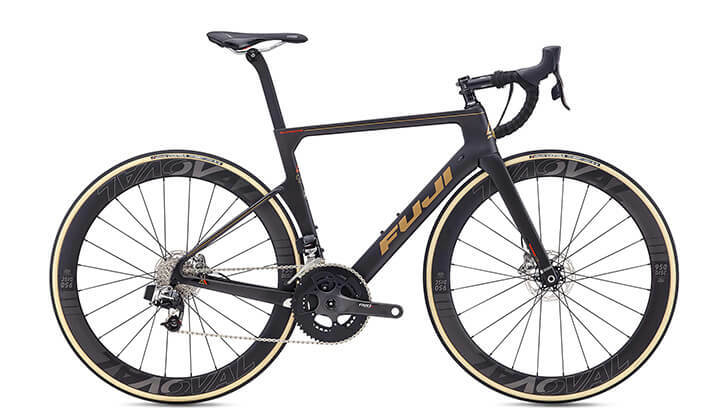 Employing the newest methods of high-compaction molding- a series of internal forms that insure the interior of the frame is free of wrinkles, excess resin and insures increased compaction for a stiffer, more resilient and consistent quality frame to insure the ultimate ride. Each frame is thoroughly inspected to ensure that there are no imperfections that would compromise performance. Once the frame passes all our strict quality controls and alignment is checked, the final step is for the final step of applying the graphics. 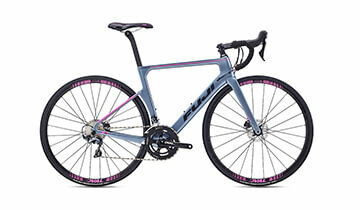 The Supreme is the first of a new breed of Fuji race bikes, with a design DNA destined to be first in every class. 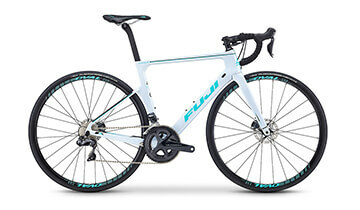 It’s the fastest Fuji ever. The all-new Supreme.